A tailwind is a cyclist’s best friend. 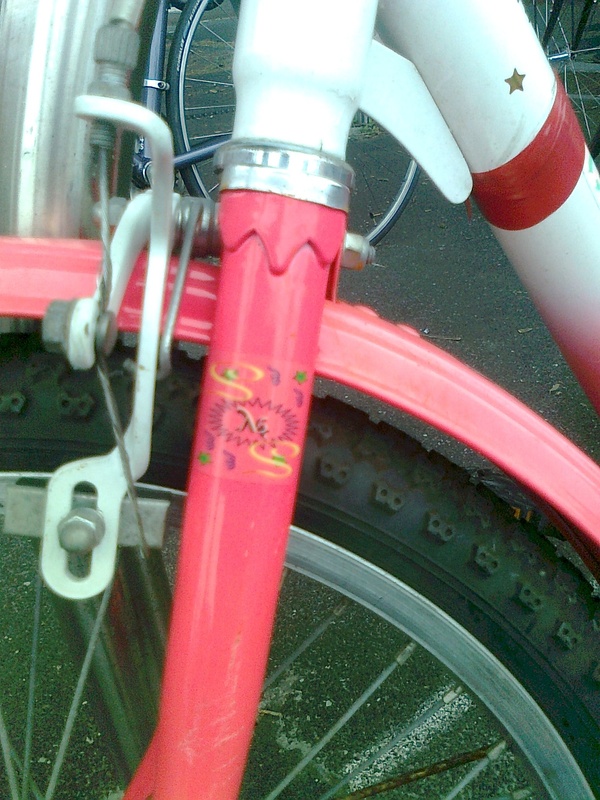 Especially if the cyclist is pedalling wheels that are less than 24 inches in diametre. 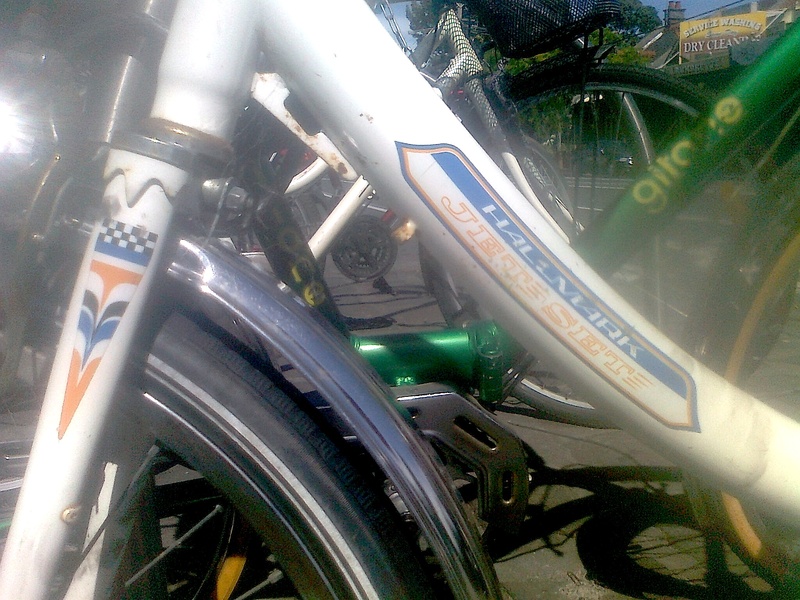 So this little bike, seen loitering around Smith Street last Tuesday, is aptly named. 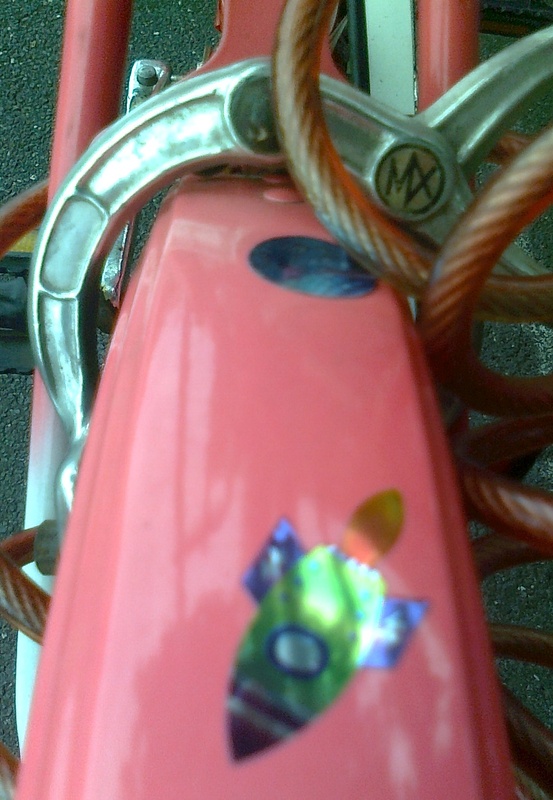 Already looking like a child’s bike, it’s been lovingly customised with some shiny shiny stickers. 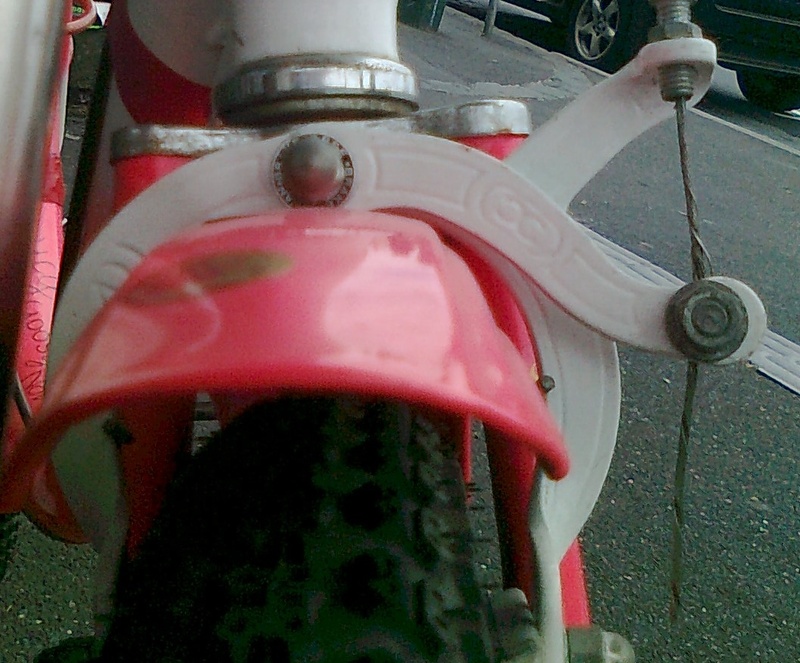 I love how it looks like half toy/half bike. I think it’s the contrast of the sickly pink (I can say that because pink is my second favourite colour so I am officially a pink expert, and this is NOT a good pink), and the machined metal (see top picture, and below). But what, I hear you ask, has this to do with aeronaoutics, the title of the post? Well, patience dear reader, the aeronautical theme will become clear any minute now. 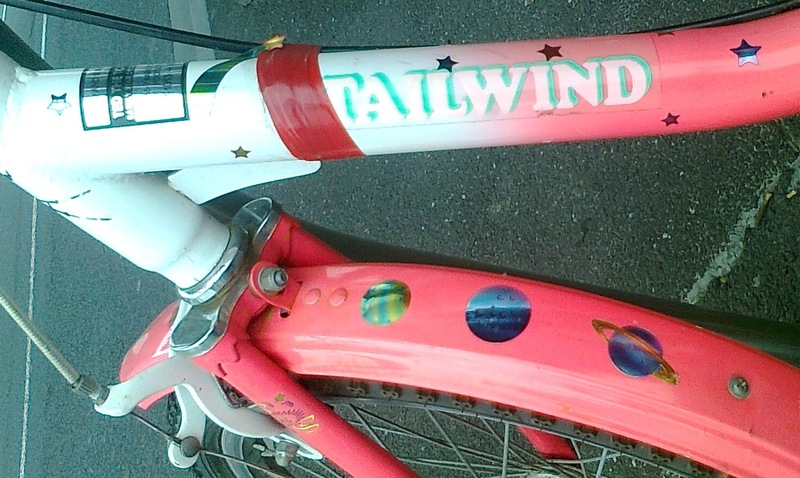 Our first exhibit’s name was Tailwind, something that assists aeroplanes as well as bikes. Please note the name of exhibit number two, a Hallmark spotted in Scotchmere St yesterday. 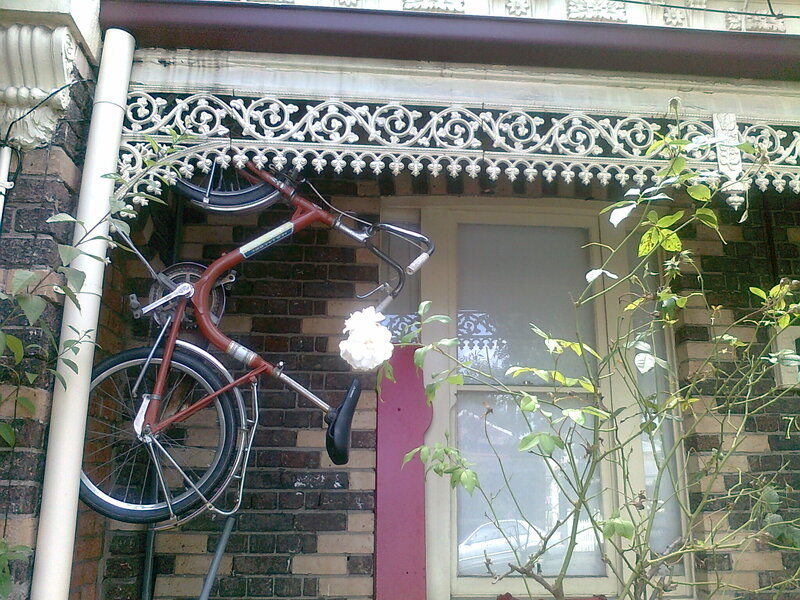 And, just to follow through on things aeroplane, here is another Hallmark, also from North Fitzroy (Bennett Street to be precise), that has a hanger as its storage. Yes, you win a prize. Not sure what it is, but it should be good. well there’s something I never knew; never was a the best speller.